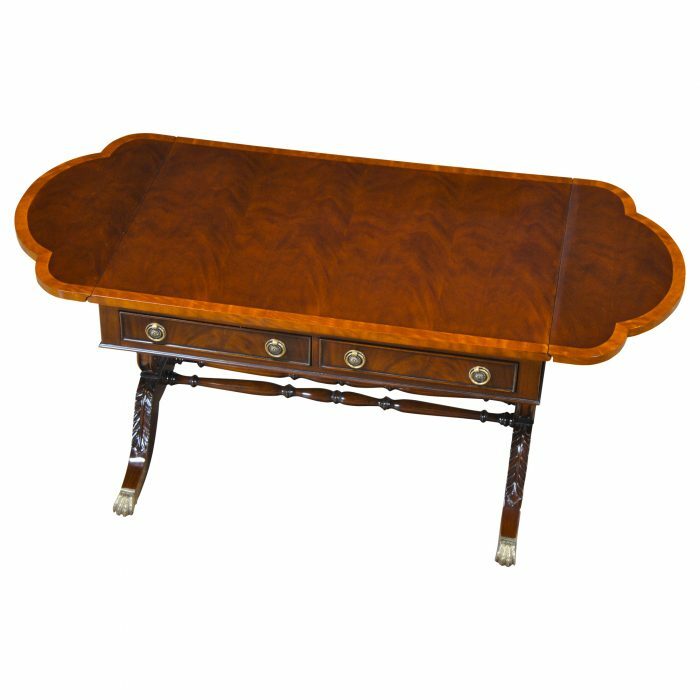 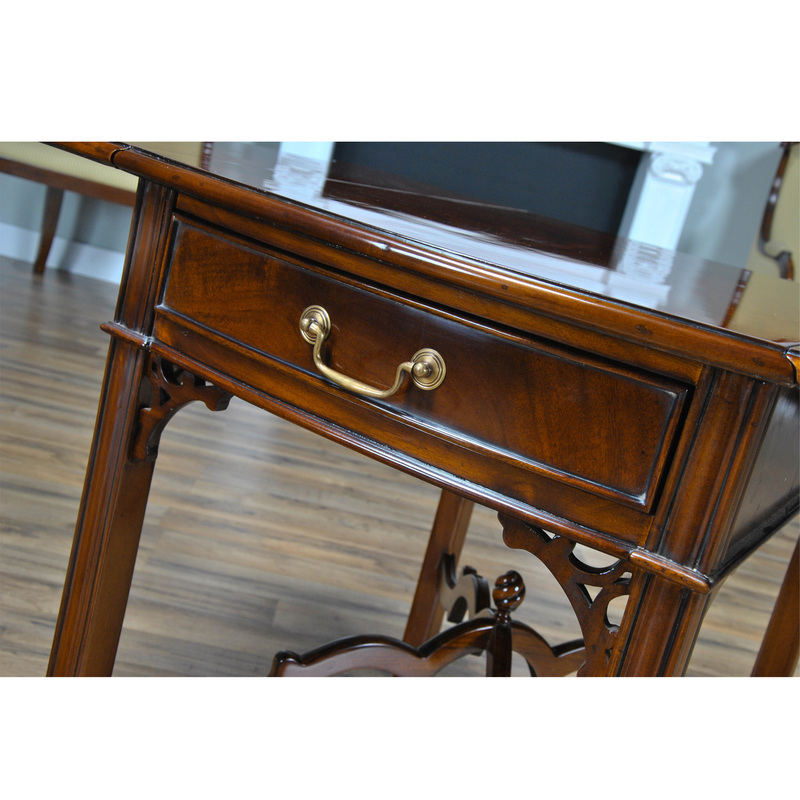 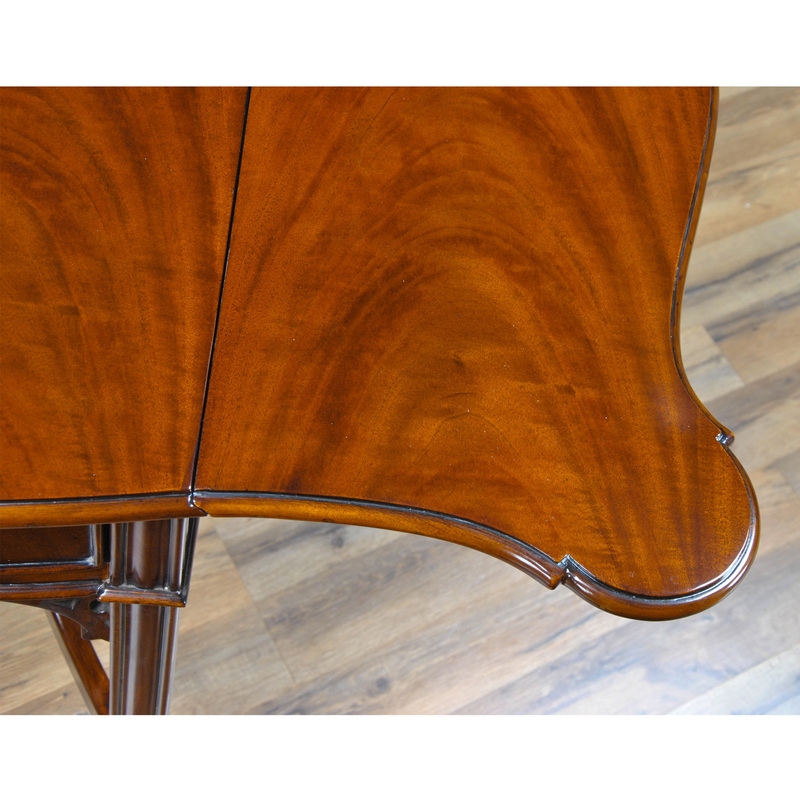 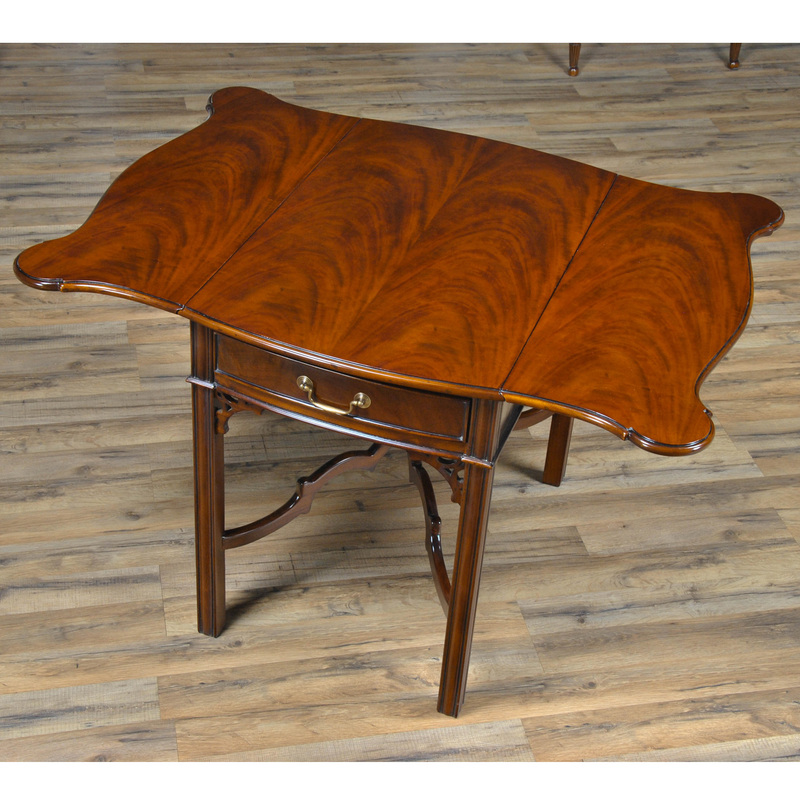 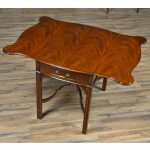 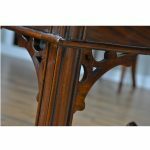 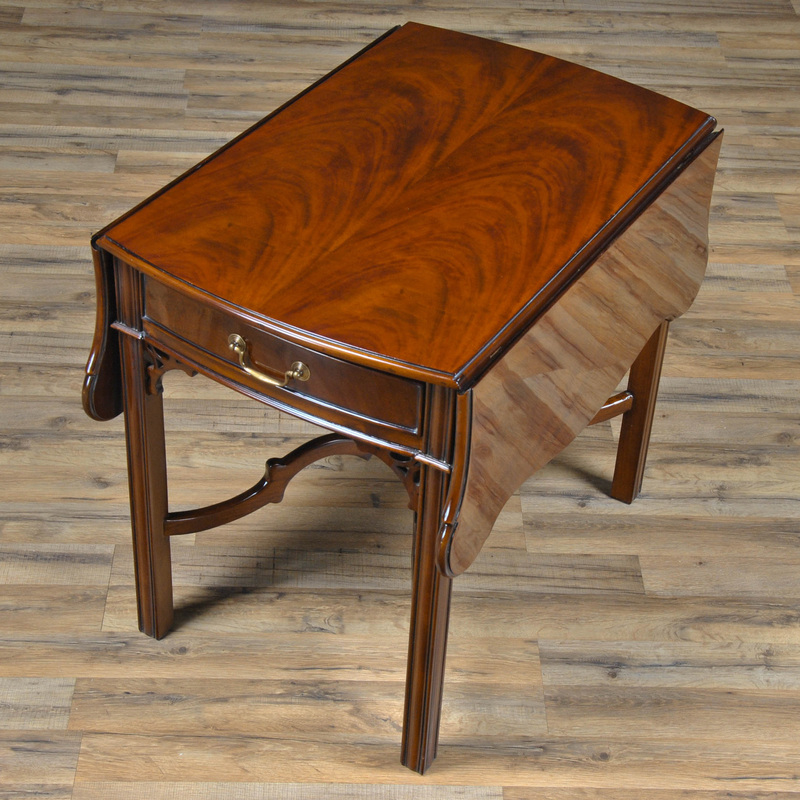 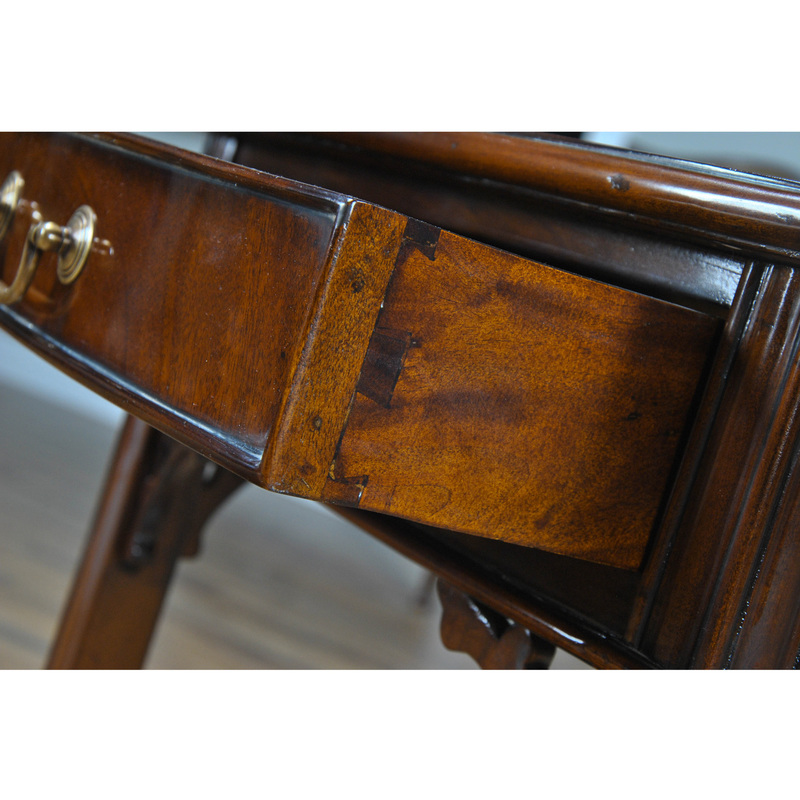 The Niagara Furniture version of the Philadelphia Pembroke Table is the largest table of it’s kind that we know of. 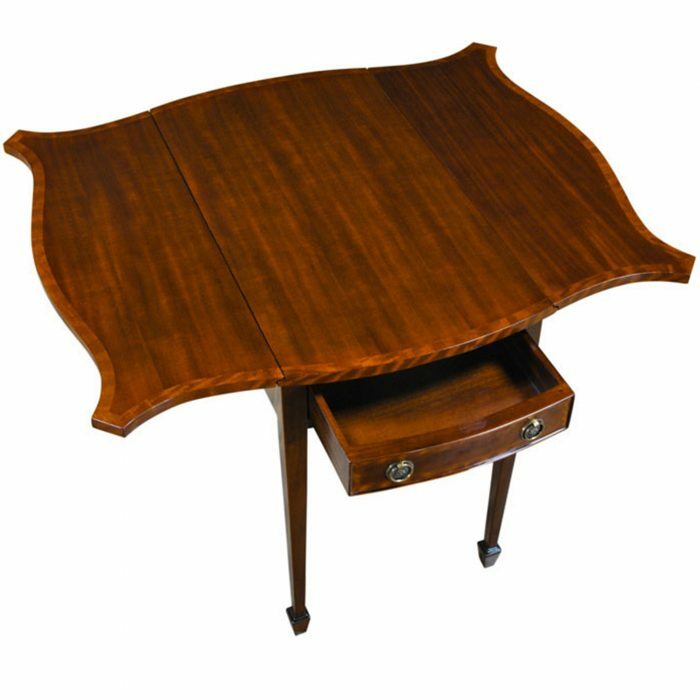 The table is versatile due it’s ability to expand in size using the drop down side panels and can be used throughout the home. 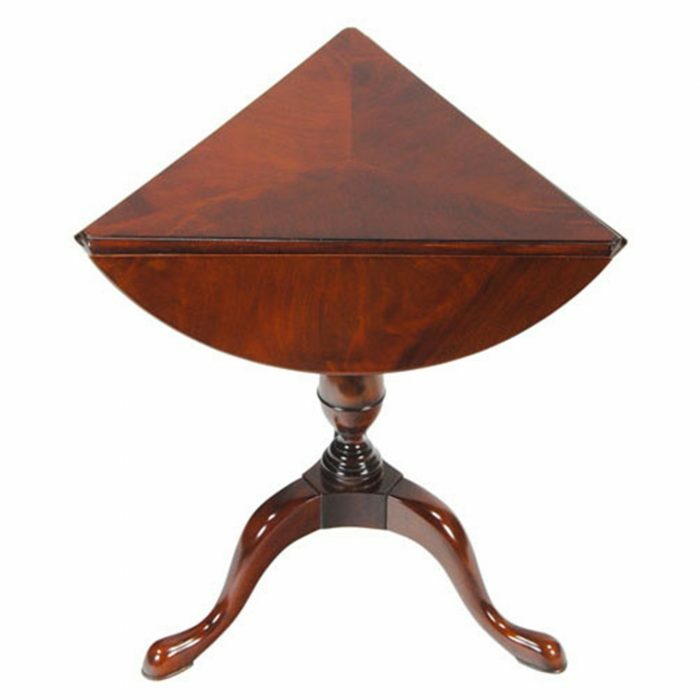 High quality solid mahogany supports hold the leaves in place when they are raised. 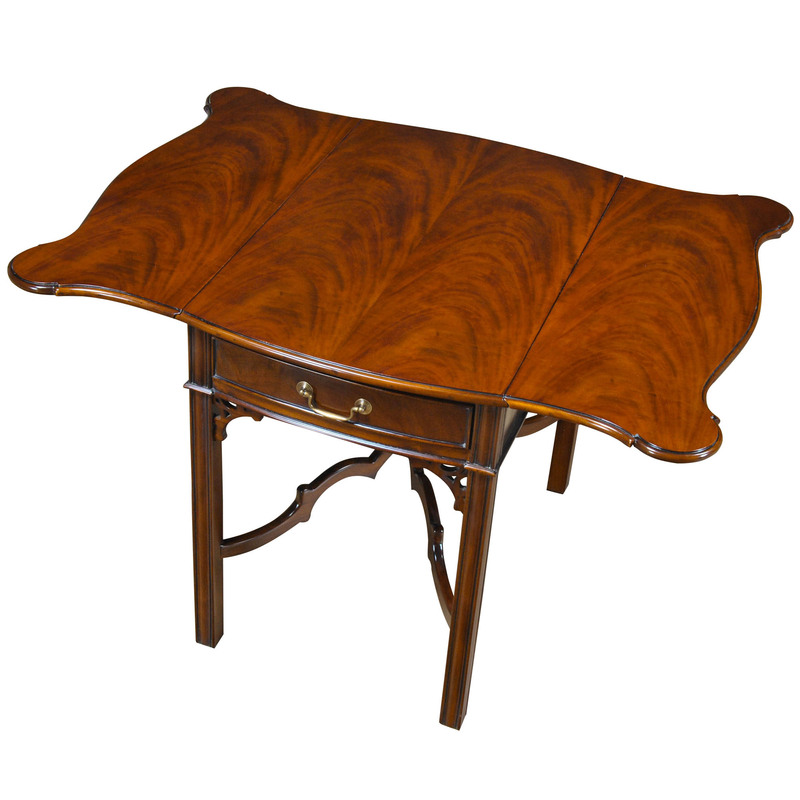 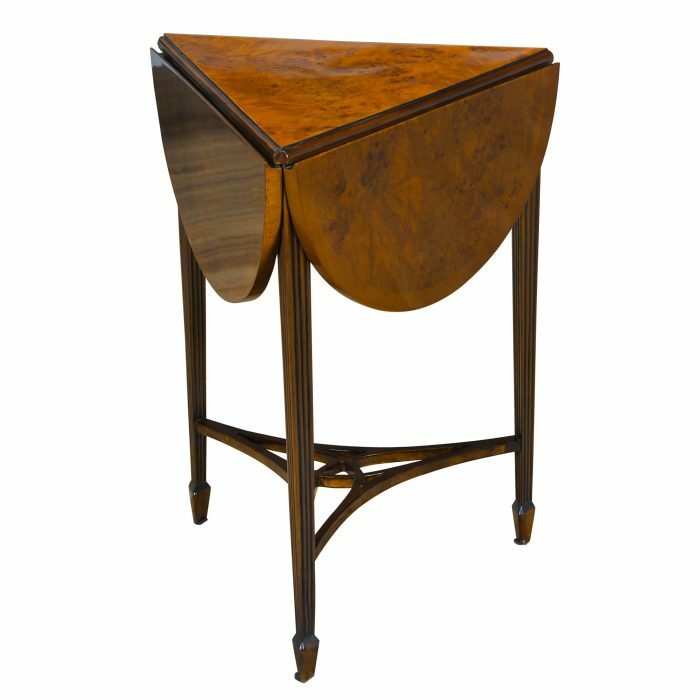 Also often referred to as either a dropside table or breakfast table.